Firestarter 2 - A. I. 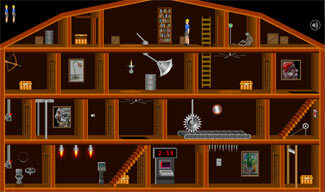 Complete all 20 levels in this well made platform adventure game. 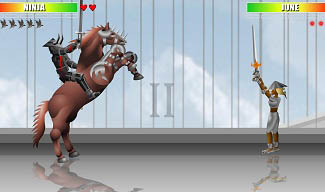 RPG, shooting, and puzzle elements are combined. Travel through the wormholes into alternate dimensions. Upgrade weapons, equipment, use delta energy to navigate. Embark on a journey to the find the Queen of Shadows. Upgrade the character with weapons and armor. Improved combat system with individual fighting styles. Super combos, bonus rounds, and weapon upgrades. Journey to recover the sacred Greenwood Jewel. Win battles to level up weapons, skills, and equipment. Defeat your opponents in hockey fights. Play as a hockey enforcer that will fight to the death for his team. As hired mercenaries, help recover an ancient relic that was stolen by a group of bandits in this RPG game. A stylized point and click adventure game with platform and puzzle elements. Trigger events at the correct time. Explore the haunted hotel to figure out the motives of the mysterious spirits that inhabit the place by finding clues. Take control of the large mech to defend each outpost from the waves of enemy troops and robots. Upgrade weapons. Mine resources, train warriors, build structures, grow food, develop weapons to battle intruders and defend the land. Explore the Star Trek universe to interact and trade, influence stellar politics, build space stations and fleets of ships. There are three types of vehicles including a buggy, motorcycle, and race car. Upgrade your vehicle. 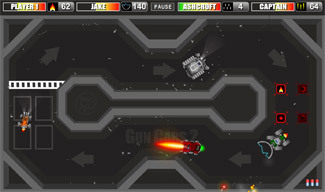 Race against computer opponents on ten different tracks. Choose between a car or motorcycle to upgrade. Customize your truck for survival driven zombie smashing mayhem. Add spikes, guns, and more. 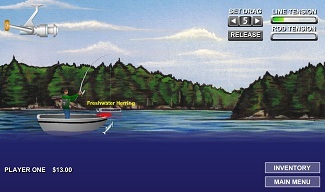 Rescue the trapped vikings from the ice and getting them into their boat. Click and drag to slice through the ice. Complete each level by guiding the metal ball into the bucket. Place the correct sequence of components. Connect the same colored squares by clicking on a color and dragging the mouse around the cube. Link pairs. Play this version of the classic board game; Battleships. All the fun of the board game now online with added features. Governor of Poker is a great game for any poker enthusiast. Play poker in a variety of tournaments. Test your reflexes in this remake of the classic Arkanoid game. Many different levels include familiar power ups. Absorb green plasma energy deposited by enemy ships to fill the main power generator and complete each wave. Protect the starbase and it's research scientists with the experimental Omega Cannon. Earn tech points for upgrades.